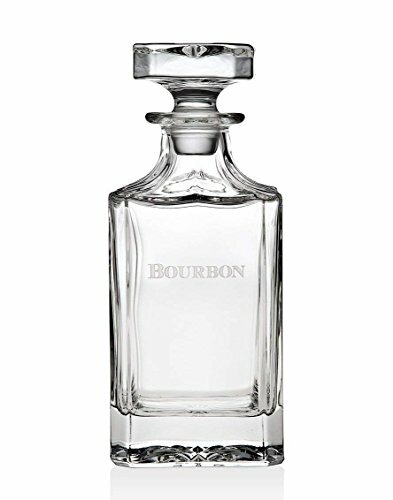 Norwalk Glass Decanter- Bourbon Embossed Bar Decanter - with Stopper - Whiskey Liquor Decanter for Alcohol- 24oz. Available for SCOTCH & BOURBON Decanters. Traditional class with modern sophistication, makes this a must have decanter for any bar. 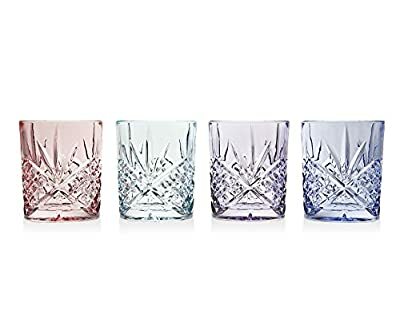 Classic square shape with sleek edges and chic etching combine for a prominent display of your favorite Scotch. Delight guests by pouring them a warming drink from this sophisticated decanter. The rounded edges make it easy to hold and a wide base ensures it will stay upright on slippery surfaces. 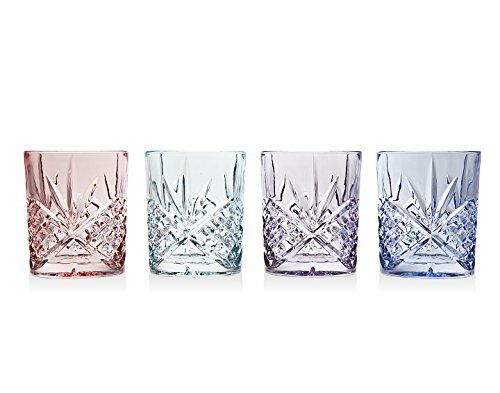 The perfect barware display accessory, the clear glass will highlight your drink perfectly. Elegantly etched Scotch or Bourbon, this stylish carafe will please any drinking fan. Makes a fabulous wedding, graduation, Father's Day, or housewarming gift. Works perfectly for employess and business contacts as well. Buy this decanter for a savory drinking experience you'll want to repeat.